Daniel Seely has quite an obtuse worldview. Given that context, it’s no wonder why King Nine’s sophomore effort plays like a natural evolution of that sound. 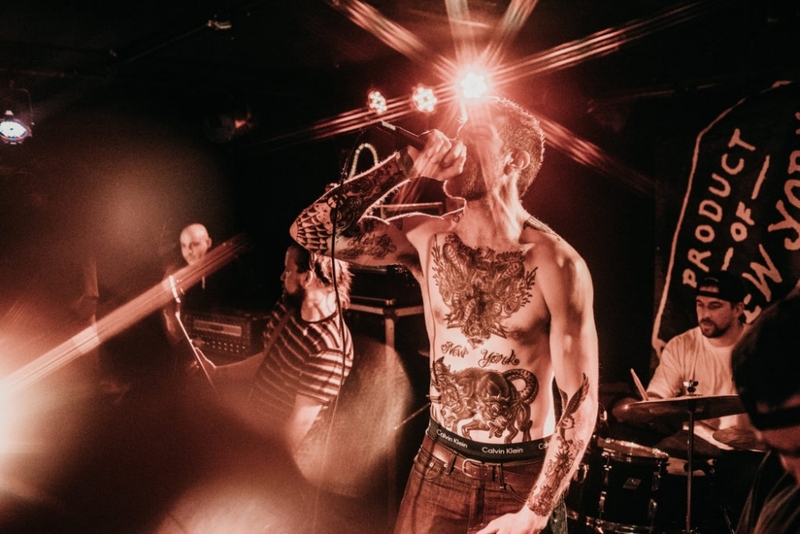 Five years in the making, Death Rattle is a tearse platter of visceral, pummeling NYHC from the some of the region’s celebrated stewards. Album opener, “Paradise,” is a slow-burning medley of buzzing, syncopated guitars and pummeling drums that climax into a massive sludgy mosh part. 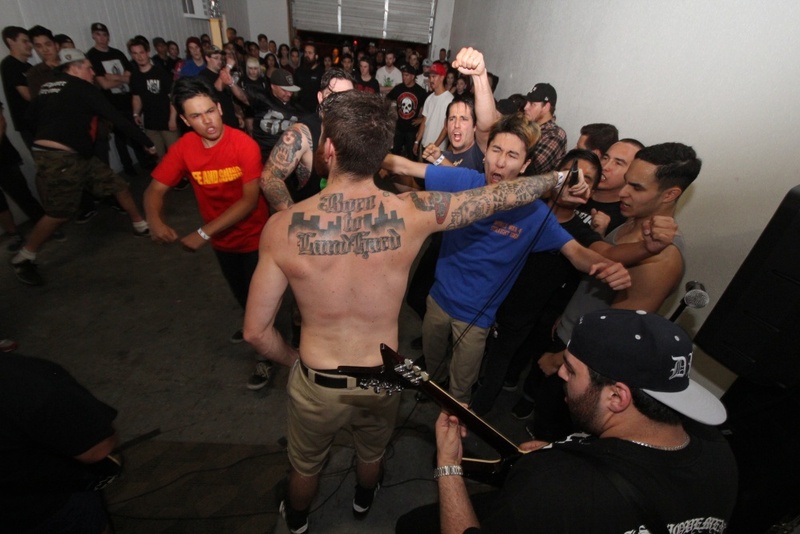 The following cut, “Happiness Is..,” is a brisk homage to classic NYHC bands Madball and Biohazard, and features guest vocals from Take Offense’s Anthony Herrera. King Nine has always relied on strong grooves as a foundation and formula within their songs, and that still shines here; Seely examines the Darwinian nature of modern life on lead single “V.C.R.F.” (“Violence Chaos Reality Fear”) over a slow bounce. And speaking of groove, the rerecorded album closer “No Dreams” is a menacing amalgamation and distillation of the band’s finest elements: grim lyrics over alternating slow bounces and grooves. Some may deem it conventional or formulaic, but there’s enough variation here to satisfy new fans, and those who yearn for a strong another dose of groovy NYHC. We’d be remiss to neglect how great the album sounds. 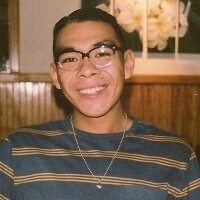 Producer and guitarist Arthur Rizik (whose track record includes production for Power Trip, Code Orange, Trapped Under Ice, and more) engineered the album to stress its metallic elements, and the result is unique—almost a statement of sorts. Guitar leads pierce through chaotic drums with clarity, and stomping breakdowns consistently hit at full force. 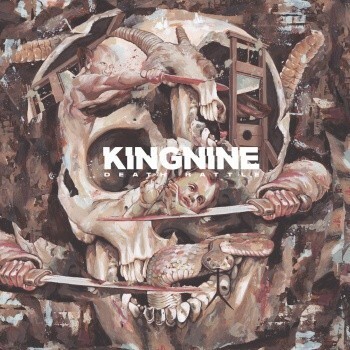 King Nine has come a long way from their demo—musically and conceptually—and Death Rattle is a testament of the growth. It’s an album that’s as impressive as it is satisfying.